I have previously written about things to do in New York City with kids, but I want to expand on the topic with things to do in NYC that you probably have not heard about. We just returned from a 4 night stay at the New York Palace in New York City to celebrate Claire’s 11th birthday and attend the U.S. Open. 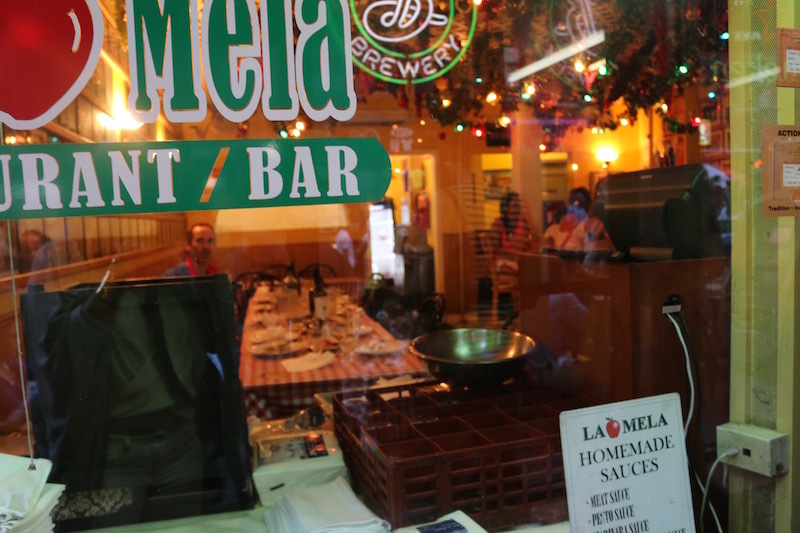 During the time that we were not watching tennis, we discovered some really fun things to do in New York City that we had never heard of prior to this trip. 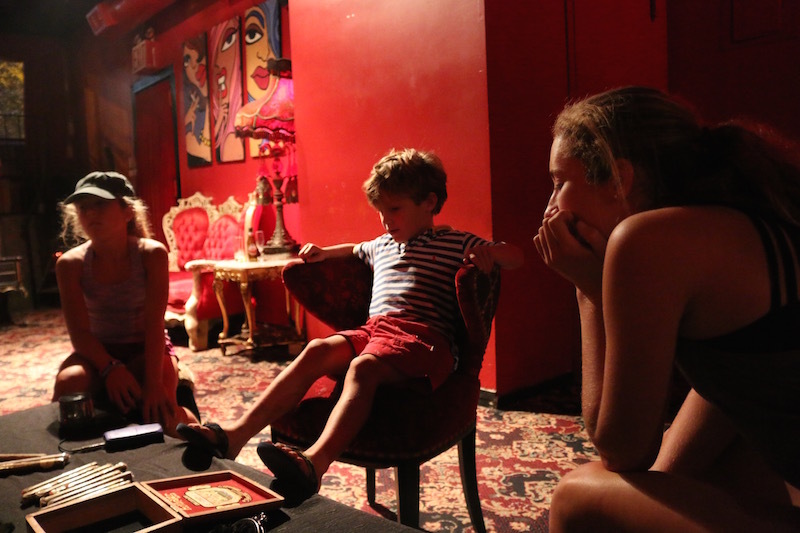 The hottest thing right now in New York City is immersive theatre experiences. Don’t feel bad if you have no idea what an “immersive theatre experience” means, because I did not either. Initially I discovered two really interesting immersive theatre shows, named Sleep No More and Queen of the Night. Both of these shows have received rave reviews by the critics and the locals. During our stay in New York City, I saw celebrities posting pictures of themselves going to both of these shows on Instagram. Unfortunately, neither of these shows are appropriate for children so I marked them off my list for this trip. However, I was intrigued enough by the idea of immersive theatre to continue searching for others that might be kid friendly. As I read more about the Accomplice The Show, I was fairly confidant that it was appropriate for my teenager and tween. We also took along my 5 year old, and he had fun even though he had no idea what we were doing. If you are stuck bringing a younger child, just remember to bring a stroller because there is a lot of walking! So I bet you are wondering what exactly is the Accomplice? Well, that is very difficult to explain but I will give it my best shot! You are basically on a real life scavenger hunt throughout New York City. You will meet some very interesting characters along the way, and you will be shocked to discover who is part of the show and who is not. I was fooled so many times, and you will be to. You will also go to parts of New York City that you likely have never been or never would go otherwise. I mean how else will you end up in Little Italy eating dinner at a big table with an Italian guy who you have never met before? He is hilarious by the way. You will see New York City like you have never seen it before, and you will be laughing your tail off along the way. I wish that I could be a fly on the wall to see your reaction at the end. Does that description of the Accomplice help you understand what its all about? Probably not. Just do it anyway! Trust me, its so much fun! 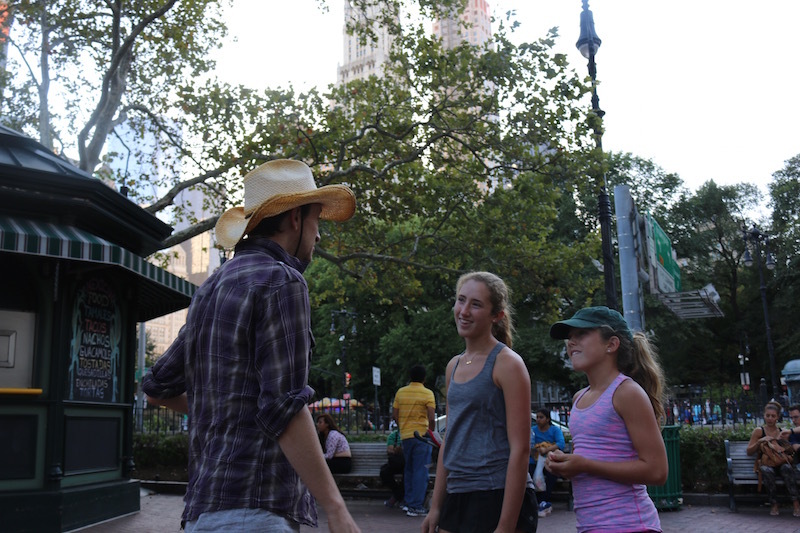 My girls and husband said it was the most fun thing they have ever done in New York City. Thats a pretty bold statement. FYI: We later learned that the characters we met throughout New York City were actually trained actors who appear on Broadway, Television and the like. The Ride is another fun thing to do in New York City, even though it leans more on the touristy side. The Ride is a bus tour that starts in Times Square, however, it is not your typical bus tour. The bus is glass from top to bottom which allows you to see outside, and those outside to also see you! Even better, the people on the outside can also hear the Ride hosts as well as the participants. The Ride is part New York City bus tour, and part entertainment. I put together a short video to give you an idea of what you might see while taking a Ride through New York City. I knew you would like the Ride after seeing a tidbit of this amazing bus tour of New York City! Shopping is usually on everyone’s list of Things To Do when visiting New York City. My advice is to skip the outrageously expensive shops on 5th avenue, and head to Mercer Street in SoHo. Ok, so its not exactly discount shopping on Mercer Street but it has far more casual of a feel. Plus, Mercer Street is a don’t miss area of New York City in my opinion. I absolutely love the cobblestone streets and old brownstone apartment buildings. You will find many of your favorite designer boutiques and there is even an Apple Store. We were thrilled to find LuLu Lemon, but y’all know this window display needs a re-do! Admittedly, this would probably not be noticeably to 99% of the people in New York that pass by. We are from Alabama, so we know how to spell y’all! 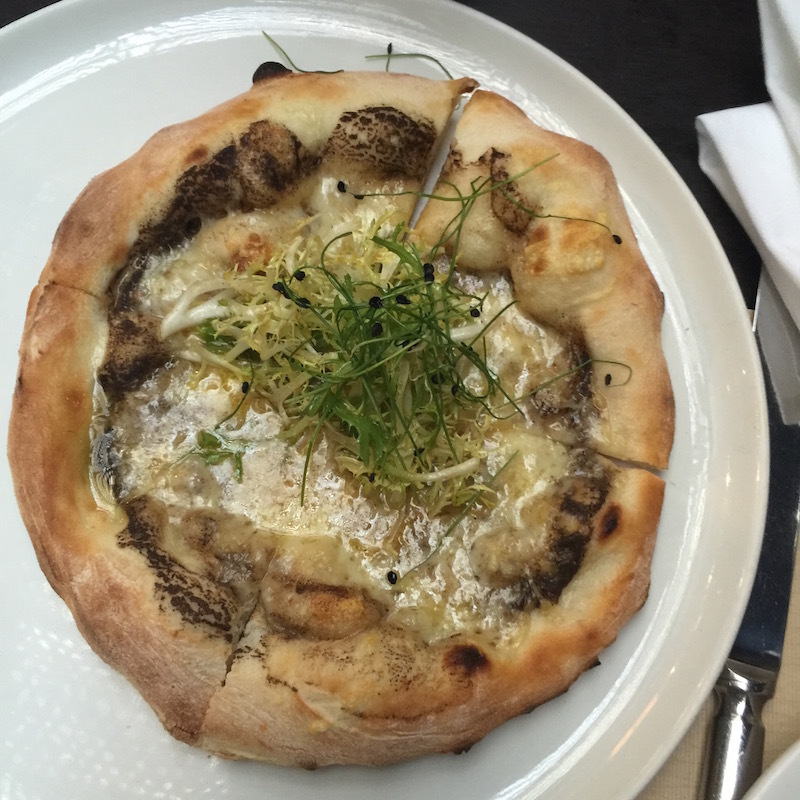 Another reason to visit Soho and shop on Mercer Street is to have lunch at Mercer Kitchen. The Mercer Kitchen is underground which is super cool, and the food is to die for. There are a couple of things to do in New York City that were on my list for this trip, but we ran out of time! I have heard that the Intrepid Museum is an awesome experience for kids, especially boys. They have jet plane simulators, and a Nasa Shuttle on display. I have also heard from everyone who lives in New York City, that the High Line is awesome and something you should visit while in New York City. Honestly, this was the one place that I was really disappointed that we missed. 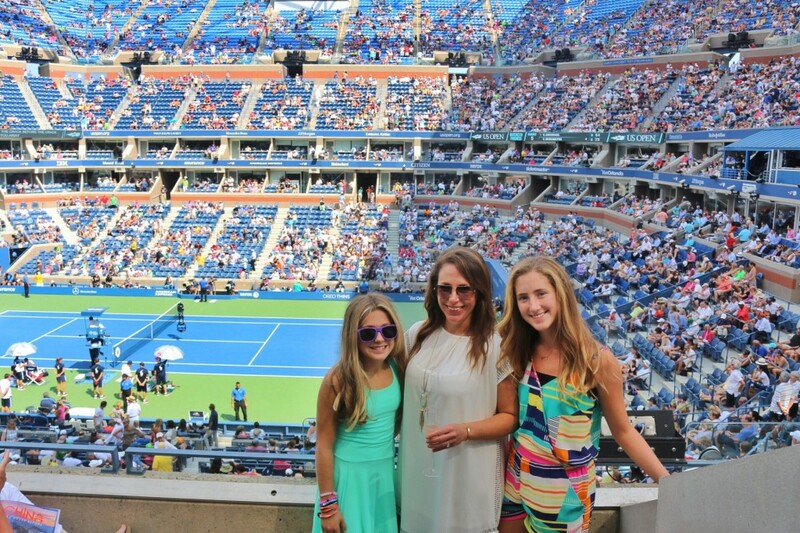 We spent our extra time at the Authur Ashe Stadium watching the U.S. Open! If you are in New York during the U.S. Open, its definitely worth going even if you are not a huge tennis fan. The food is great, the champagne is flowing, and tennis fans are generally very polite. Check out my Review of the US Open with Starwood’s SPG Moments! 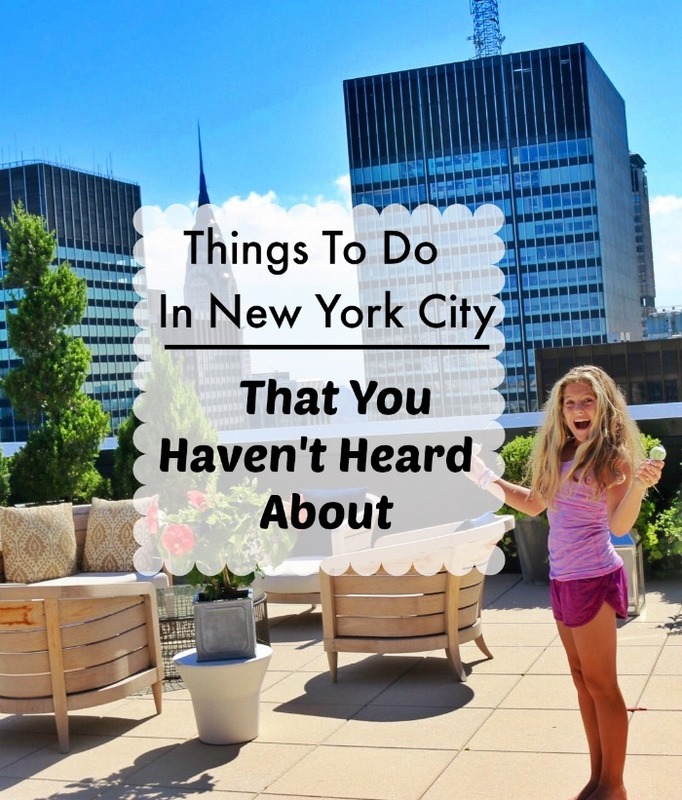 If these tips were useful or you know of another fun thing to do in New York City, please leave a comment below! Also, check with Jetsetter for discounted rates at top New York City Hotels!